Hu’s that girl that’s got some Seoul? 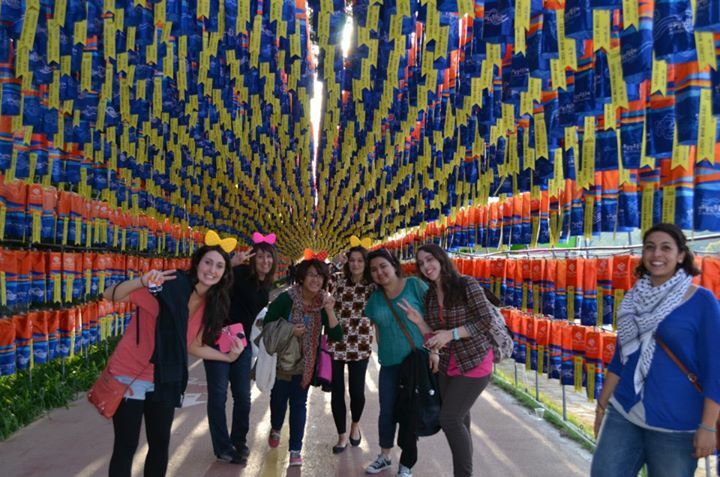 At Korea’s biggest lantern festival in a city called Jinju. 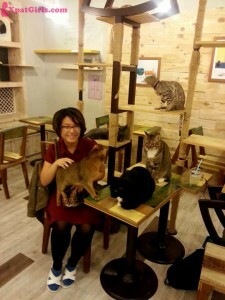 I moved to… Seoul, South Korea. Before that I lived in… Vancouver, Canada. The reason for moving here was… I grew up and lived at home in Vancouver my ENTIRE life and when I graduated university with a generic Bachelor of Arts degree I was like why not kill two birds with one stone? So I decided to not only finally move away from home but also move to a part of the world I knew nothing about aside from “Gangnam Style”. I didn’t really pick Korea over somewhere else for any reason other than that (honestly speaking) I flipped a coin and it landed heads up on Korea versus Taiwan. If I were to describe my current city in one word, that would be: Never-ending. Seoul has 10 million people and it is so easy to get lost in the crowd if you want but also find a home away from home among the people here. 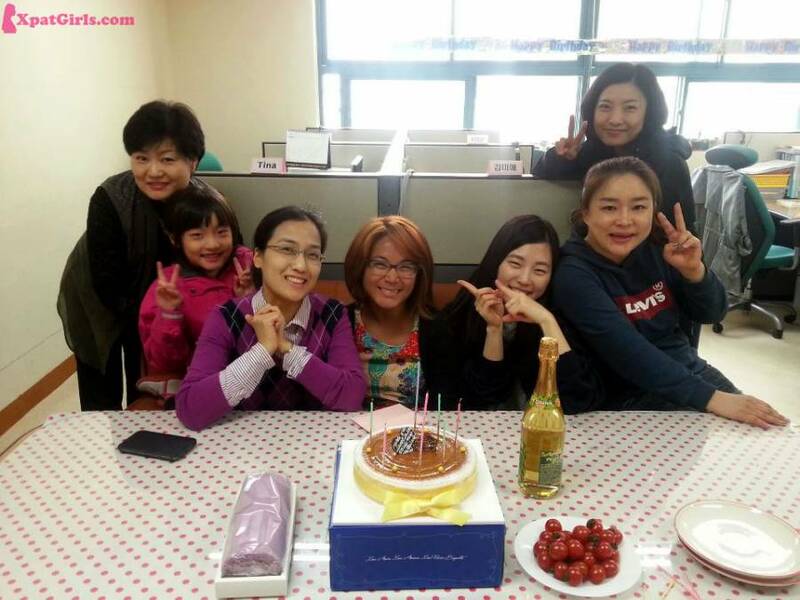 A surprise birthday party by co-workers. The first thing a new expat needs to know when moving here is… Have an open mind. This isn’t only for Seoul but for when you’re uprooting from your home city and moving ANYWHERE. If you aren’t someone that’s gonna have an open mind about anything – then maybe you should really stay home. The language issue… Among the expats who are here for a short time (1-3 years) we have a category we call “survival Korean.” I can make a good first impression, I can get a taxi home, I can navigate through a restaurant and I can tell a guy I’m not interested but other than that…not so much. I speak fluently in Cantonese which is spoken in Hong Kong and some Southern provinces in China but the majority of people in China speak Mandarin. It’s not obvious that Korean has roots from Chinese BUT there are some words that I hear that sound like how it would in Cantonese for example “library” and “bank”. At the infamous cat cafes of Seoul. Since I moved here I stopped… Driving a car. The public transit system here is not only extensive but cheap and frequent. Since I moved here the new thing I started doing is… Meeting people I would not have ever considered even getting to know back home. 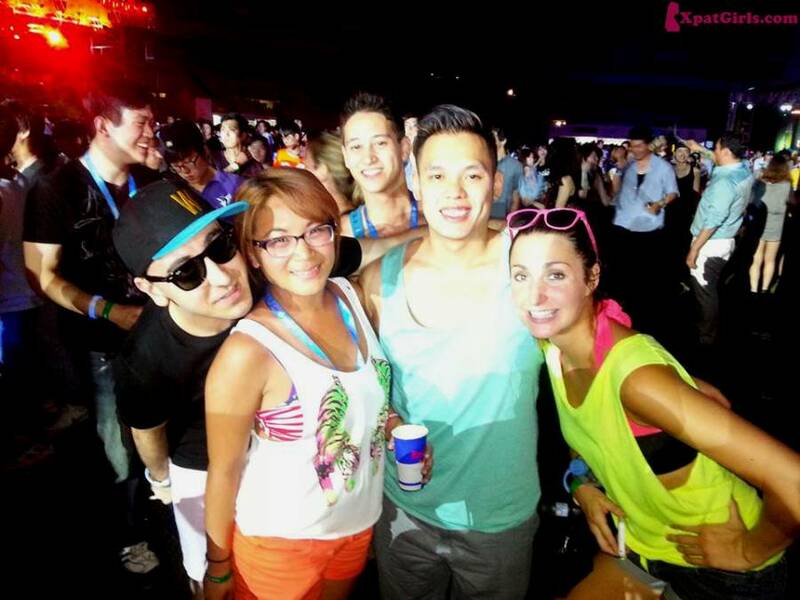 I’m definitely lucky to have met the people I’ve met here. My biggest lesson learnt was… The most important thing about living and working abroad is to treat life as it is your real life. So make real connections with people and treat your friends like they could last a life time. I’m happy to say that the friends I’ve made in Korea are friends I plan to keep in touch with after and hopefully visit. Some weird habits at the locals… This is definitely something that I am 100% guilty of but how frequent locals are on their smartphones EVERYWHERE. My biggest cultural shock was… The number of pickled vegetables that exist – how many things can you pickle and still enjoy?! 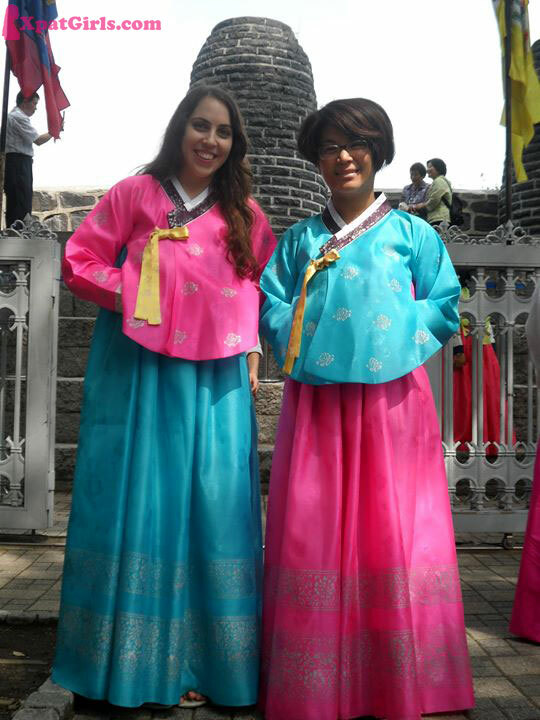 My funniest/weirdest/scariest experience was… So Koreans often mistake me for a local in the subway and always end up asking me for directions and instead of always explaining that I am a foreigner and don’t understand…I just sucked it up and got my coworker to teach me how to explain directions in Korean. So my funniest experience has got to be when a foreigner approached me with broken Korean on how to get somewhere and because I was so used to replying in Korean I replied back in Korean and he kept the conversation to practice his broken Korean and it got to a point where I didn’t know enough Korean so I was like, “Hold on, we’re both foreigners here, why are we talking in Korean?” Then continued our conversation in English. 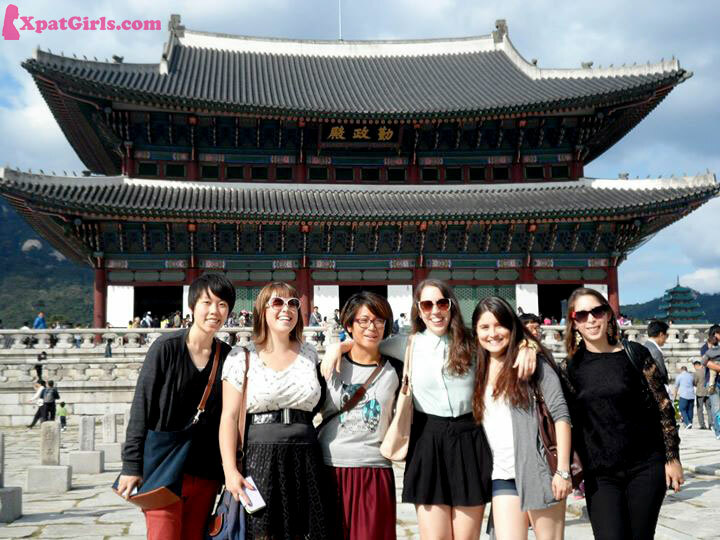 At Gyeongbukgung Palace in Seoul with fellow expats. What I miss the most from home is… My family especially missing my two nieces growing up. I go home as often as...I’ve been here for 1.5 years and have been home only once for 2 weeks. I keep in contact with my friends and family… Personalized post cards, phone and I made all my closest friend download the local instant messenger – kakaotalk (it has the best emoticons). My favorite dish/local food is… Cheese dakgalbi – cabbage, chicken and lots of cheese all cooked together. Nothing can go wrong! 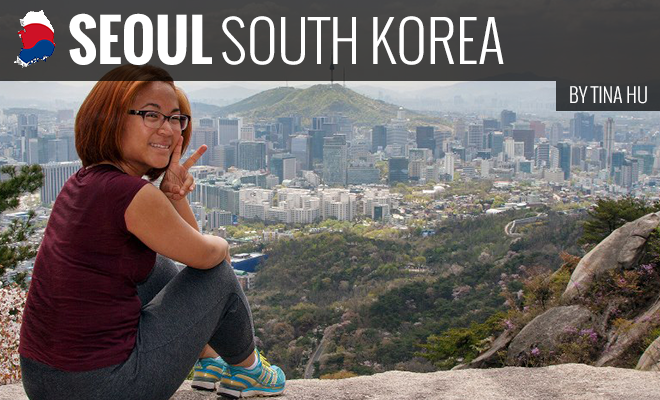 My favorite places in town are… I would have to say Tteoksom Resort – a local park and Seoraksan – a local mountain and my favourite night life area would have to be Hongdae as you can drink at the park and easily hope from singing rooms to bars to clubs. 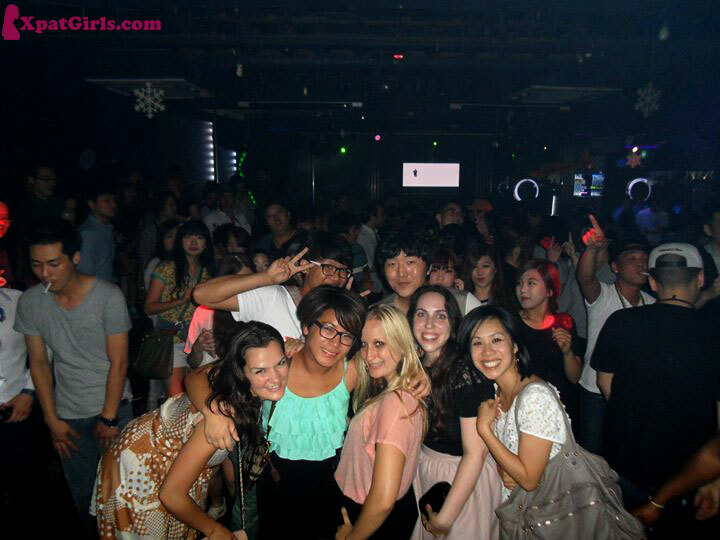 A slice of Korean night life in Hongdae. I get around the city by… Subway and bus. Street fashion? 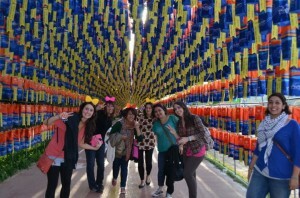 The thing about Korean fashion is that once a trend picks up – everyone MUST follow the same trend. So last year all the girls had black leggings and oversized army coats on and by everyone that’s including me. My view on people: I think Korea is at a very unique place because they are still in the stages of developing as a society and you meet people who are still very traditional and conservative but you will also meet people who could honestly be mistaken as someone from home in terms of their view points. So I can’t generalize Koreans as a whole as I’ve met Koreans who have had opinions that surprised me. Being an expat… I think it’s an extra unique experience for me as I am of Chinese descent so sometimes Koreans are surprised I am a foreigner and sometimes a foreigner might assume I am Korean. So sometimes it’s nice because I can blend in but sometimes it’d be nice to not always be mistaken for a Korean as my language skills are not quite up to par. In 5 years, I see myself living… To be honest I am not sure. My immediate 1 year plan is to travel for a few months post contract in Nepal and Southeast Asia but I want to return home, build a career and ideally the company I work for has oversea offices that I can permanently re-locate in.